Pending Horizon: Does the Democratic Party even want to win? Does the Democratic Party even want to win? Watching the post-election behavior of the Democratic Party, I’m left wondering if the party ever really wants to win. While it seems crazy to question Democrats’ desire to win, they are not at all behaving as one would expect a group to when faced with a seriously unfair system. They are sure not behaving like a party that lost solely because of arcane rules, even after winning the popular vote for President, House and Senate. There are numerous things the Democratic Party could do to fix this situation, but so far they haven’t even tried. Twice in my modest lifetime, the arcane and idiotic electoral college has denied the presidency to the person that the most Americans voted for. Yet the Democrats have made no serious party commitment to eliminating this unpopular institution. Even though making the electoral college a relic of the past could probably be accomplished for less than 1/20 of what was just spent on the Clinton campaign, the party has yet to step up. The growing urban-rural divide continues to push the Senate towards favoring the Republicans. One step could both address this imbalance and fix the injustice in the District of Columbia, where more than 600,000 people pay federal taxes without representation: granting D.C. statehood. Yet when faced with the opportunity to do just that in 2009, President Obama instead went out of his way to ignore the issue. The House is the branch of government which was specifically designed to most closely reflect the public, but in the past several elections it has failed terribly at this task. Thanks to the fact that Democratic voters are increasingly being packed into districts, the Republicans can win control of the House with dramatically fewer votes, which makes a mockery of our democracy. There are numerous ways to solve this problem with multi-member districts, but as of yet there is no real push in the Democratic Party for any of them. Again, twice Democrats have complained that votes for third party candidates cost them an election (although I question the idea that Gary Johnson voters would have gone for Clinton). Yet the party has done almost nothing to fix the problem. The recent success of Maine’s Ranked Choice Voting Initiative shows there is real way to deal with it. Being a futurist is about looking past the current moment to try to predict how all big trends will fit together. Democrats have long comforted themselves with projections that a growing Hispanic population will secure their future, but they have ignored all the other trends going against them. The reurbanization of America has created real problems for Democrats, and these problems are likely to grow. As more people live in large cities, it becomes easier to gerrymander districts to pack all of the Democrats into just a few districts. It means the Senate and the electoral college will continue to skew Republican. 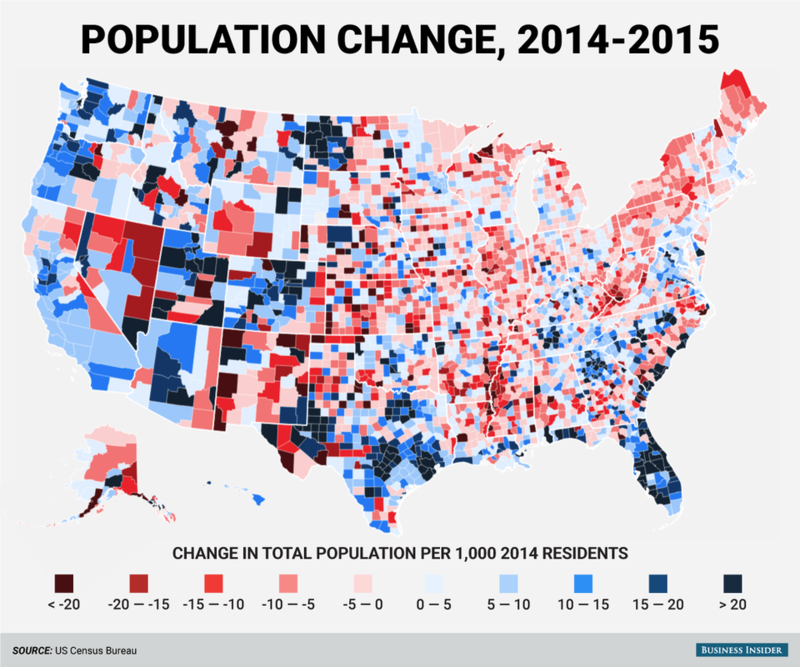 In the recent presidential election, Trump gained the most in the rural places where the population has been declining. If the trend continues, the gap between how people vote and who wins could grow much worse. Structural reform may not seem like the sexiest issue, but pushing the fact that the system is rigged and unfair can truly galvanize people. It worked for Trump and the Republicans when they complained about “voter fraud,” even when it wasn’t real. If Democrats want to win, they need to advocate for what it takes to win, and so far they haven’t. These rule changes would help Democrats in the mid-term, but they are not a guarantee of holding power forever. The pendulum of American politics will continue to swing; these changes would just mean that it wouldn’t take a massive swing the left to put Democrats in power. It would also force the GOP to eventually change their message to help address the needs of an increasingly urban population.